Discover Prague, Vienna and Budapest | Fully customized itineraries to Europe, Central and South America. Your tour, your way. Central Europe is a timeless beauty offering the oldest and best preserved cities in all of Europe. Prague delights with its magical bridges, cathedrals and compact medieval center; Vienna is rich in architecture and musical legacy; Budapest enchants with the old Baroque and modern energy. All three cities complement one another on this cultural and sophisticated tour. Price as indicated valid July 9, 2019, based on two passengers travelling together. Subject to availability at time of booking. For alternative dates, inquire for pricing. Itineraries are fully customizable. Not valid during trade shows, bank holidays and other special events. Blackout periods may apply. Inquire for Deluxe hotel supplement pricing. Some tour schedules vary based on seasonality. 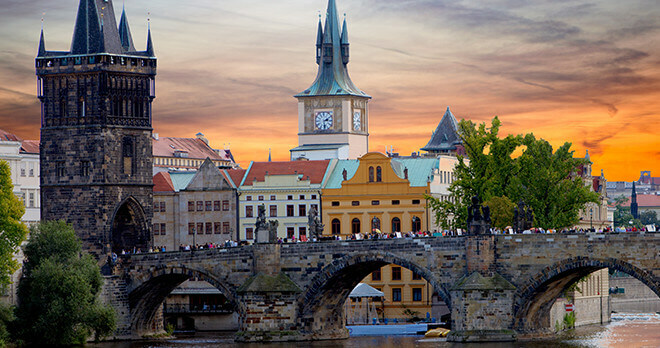 *Jewish Quarter in Prague is closed Saturdays Inquire for Deluxe hotel supplement pricing. PRAGUE, CZECH REPUBLIC Arrival in Prague, the magical capital of the Czech Republic. Welcome by our local representative and transfer to your hotel. Enjoy the rest of the day at leisure . PRAGUE After breakfast, your guide will meet you at your hotel for a private tour of the city. Explore the medieval part of Prague including Wenceslas Square, the Theatre of the States, Old Town Square with the Astronomical Clock and Parížská Street. Also see the only Central European Jewish town squares that survived the Holocaust. 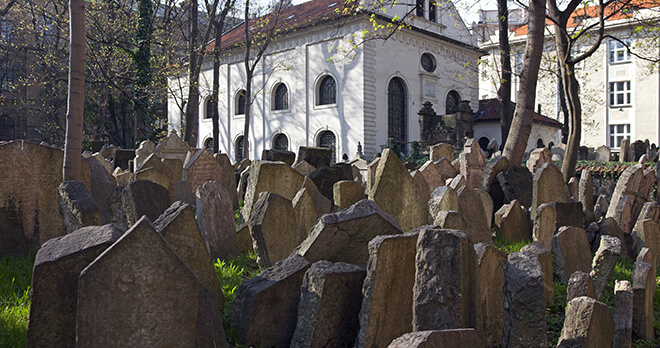 Stroll through the Old Jewish Cemetery. After your tour, we suggest a stop at one of Prague’s finest breweries for a tour and tasting of four beers including famous cold delicacies. PRAGUE After breakfast, explore Prague castles with your private guide. Explore the historical part of Hradcany Castle, Strahov Library and Loreto Château. Visit the Royal Palace, St. Vitus Cathedral, St. George’s Basilica and Golden Lane. Descend the castle stairs to Lesser Town and continue walking towards Charles Bridge. In the evening, enjoy a performance of Opera or Ballet in the State Opera building; transfers to and from your hotel are included..
PRAGUE – VIENNA, AUSTRIA After breakfast, transfer to the train station to board your train to Vienna, Austria, also known as the City of Music due to its musical legacy. Upon arrival, transfer to your hotel. VIENNA After breakfast, make your way to your meeting point to begin a half-day, shared city tour of Vienna. 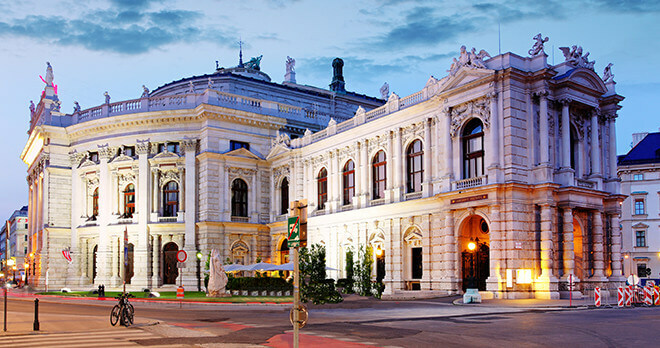 See the Ringstrasse and admire the many magnificent buildings: the State Opera, the Hofburg Palace, the Museums of Fine Art and Natural History, Parliament, the Town Hall and more. The highlight of your tour is Schönbrunn Palace. Enjoy your afternoon at leisure. VIENNA Breakfast at your hotel. Enjoy your day at leisure. We suggest an optional full-day excursion to Wachau, the most picturesque stretch of the Danube Valley with sprawling vineyards, apricot orchards and romantic ruins. Drive past the charming old villages and castles including Dürnstein, where King Richard the Lionheart of England was held captive. 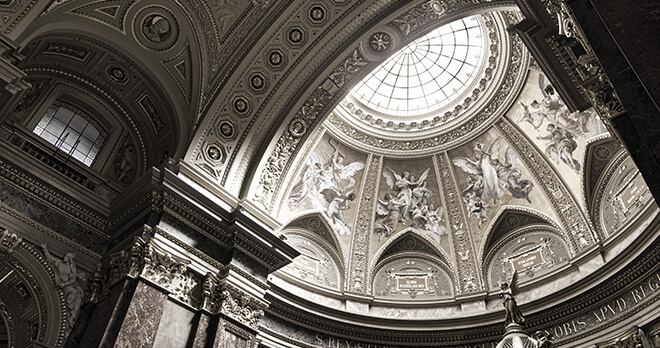 Visit the magnificent Benedictine Abbey of Melk, a stunning example of Baroque architecture. 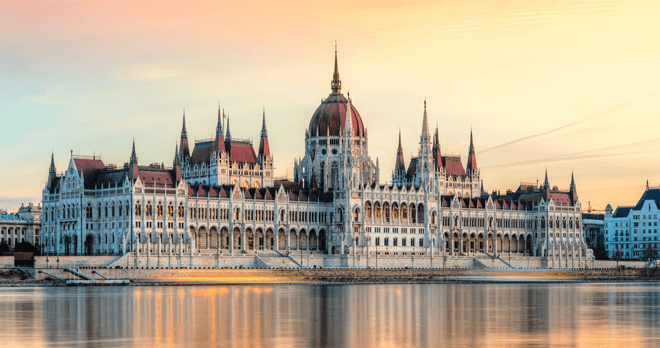 This tour including an optional lunch and boat ride down the Danube can be added to your itinerary. Return to Vienna. 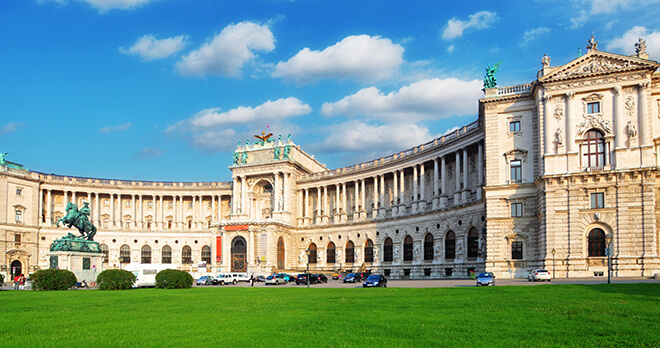 VIENNA – BUDAPEST, HUNGARY After breakfast, transfer to the train station to take your train to the beautiful capital city of Budapest, Hungary, which sits divided over the Danube River. Upon arrival, transfer to your hotel. BUDAPEST After breakfast, take a morning tour of Budapest to get acquainted with this delightful city. 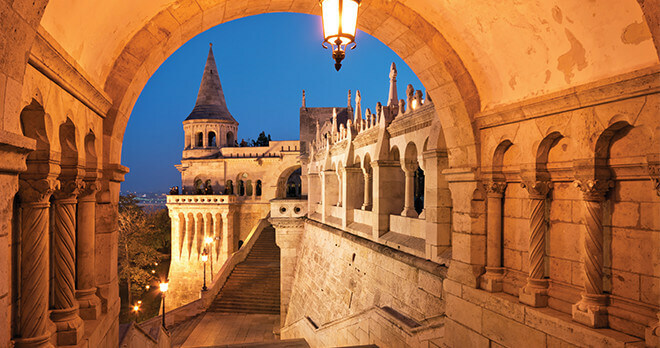 Sights include Buda and Pest, Heroes’ Square and the Millennium Monument, Gellert Hill and the Castle District. Enjoy the rest of your day at leisure to perhaps try one of the many mineral-rich thermal baths the city offers. BUDAPEST Enjoy breakfast at the hotel. Take today to explore the city on your own. An optional tour to the Puszta grasslands with a traditional three-course meal and folklore show is available (not included). BUDAPEST – HOME Enjoy breakfast at the hotel and transfer to the airport for your home-bound flight.